But what do you do if you’re on your own? 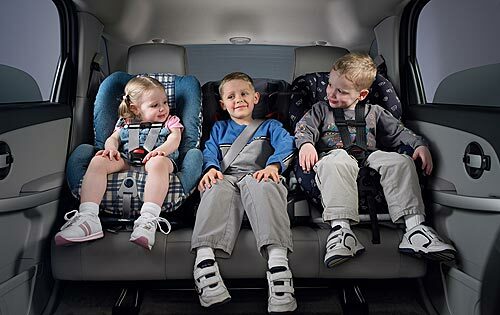 While the documentation and instructions included with the child seat is a good start, we think the NHTSA’s free child safety seatinspection centersare also worth the few minutes of time they’ll take to visit. These government-funded centers are based throughout the nation, and they’ll help to ensure a child seat is installed correctly,preferably using the LATCH system. We’ve heard lots of chatter regarding the so-called “combination seats.” These seats are marketed as being able to go from a rear facing infant seat to a forward facing toddler seat and then finally to a booster seat for older children. A testing study performed by the Insurance Institute for Highway Safety (IIHS) found significant problemswith these combination seats.